Here is the annotated 2018 Locus Recommended Reading List for short fiction, merged with RSR's 2018 Best SF/F list (aka our aggregated list of "outstanding" stories) for the first time, with stories from the Locus list highlighted in red, and sorted by score. The combination lets us analyze the Locus list to see which stories that were broadly recognized as outstanding were left out, which magazines were over- or under-represented, which authors did particularly well (or not), how many were Campbell-eligible, and how RSR's own recommendations stack up with Locus reviewers in general. As with every RSR annotated list, there are links galore to the stories, their authors, the magazines, any award nominations/wins or "year's best" anthology inclusions, and search-links to find other reviews. Anyone can vote for the Locus Awards at this link. Due date is Monday April 15, 2019. If you want to skip the analysis and just start reading, click here (to highlight free stories). For the most part, we're going to focus on ways in which we differ with the Locus List. This should not overshadow the fact that we think they've produced an excellent list that reflects the hard work we know they put into it. In the section below, the links support the claims in the text by jumping to a view of the table that shows the stories and data being discussed. The Locus List contained many of the stories we expected to see there, but there were a few omissions that surprised us, given how broadly popular some of these stories were. 7 of the top 9 short stories in RSR's list were in the Locus list. That's remarkable given that there were 181 and 75 short stories in each list, respectively. Missing are "The Independence Patch" by Bryan Camp (score 8) and "Carouseling" by Rich Larson (score 7), each of which got recommendations from 5 prolific reviewers. 5 novelettes from the Locus list were in RSR's top 9. The most notable omission was "What is Eve?" by Will McIntosh (score 8), which was recommended by 5 prolific reviewers in the #2 spot. Surprisingly, only 2 of the top 9 novellas in RSR's list were in the Locus list, even though there were just 36 and 13 novellas in each list, respectively. The distribution of magazines in the Locus list is highly non-random, with a strong bias away from the traditional print magazines and in favor of smaller magazines that RSR currently doesn't review. The traditional paid-only magazines got little love from the Locus list. 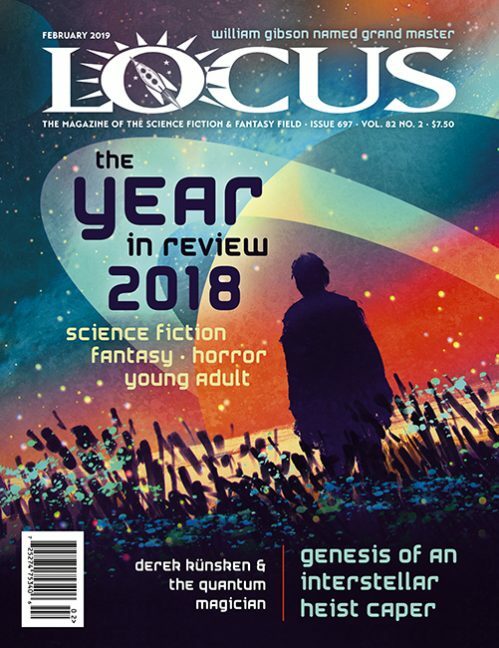 Just 1% of Analog stories (1/92), 3% of Asimov's stories (2/66), 6% of F&SF stories (4/63), and none of Interzone's stories (0/30) made the Locus list. Over-represented publications were Tor.com with 31% (9/29) and Tor Novellas with 33% (8/24) of their stories in the Locus list. Surprisingly, two anthologies also cracked 30% inclusion with Robots vs. Fairies at 33% (6/18) and The Book of Magic at 38% (6/16). Rounding out the middle-tier are free online magazines with inclusion % mostly in the teens such as Apex at 9% (4/45), Beneath Ceaseless Skies at 16% (10/62), Clarkesworld at 12% (7/58), Lightspeed at 15% (8/55), Strange Horizons at 15% (7/46), and Uncanny at 16% (7/44). Fans of magazines not reviewed by RSR are welcome to provide the % (and #) of stories included in the Locus list for those magazines in the comments below. By comparison, RSR's 2018 Best SF/F list (based on prolific reviewers recommendations, year's best anthologies, and award finalists/winners) includes 33%-51% of stories from the paid-only magazines, with a similar of range 23%-55% for the free online magazines. Many of the authors we expected to see are here, but a few omissions surprised us. Here are some authors with 4+ stories in RSR's 2018 Best SF/F list with none or one in the Locus list: Matthew Hughes (0/4), Robert Reed (0/4), Kristine Kathryn Rusch (0/4), Marissa Lingen (1/4), Adam-Troy Castro (1/6), and Rich Larson (1/6). On the other hand, here are some authors with 3+ stories who got two or more in the Locus list: Kelly Robson (4/4), Octavia Cade (3/3), Dale Bailey (2/4), Andy Duncan (2/3), Ken Liu (2/3), Sarah Pinsker (2/3), and Martha Wells (2/3). To the extent that the inclusion of stories from smaller magazines that RSR doesn't usually review represented a desire by Locus to include more less-established authors, we expected to see a lot more Campbell-eligible authors in their list. (Authors eligible for the "Best New Author" award.) However, there were only half as many as we'd have expected based on our own aggregated list. The Locus list includes 13 stories from Campbell Award-eligible writers, 7 in year 1 and 6 in year 2 of eligibility, versus the 16 in year 1 and 16 in year 2 stories from RSR's 2018 Best SF/F list. Eligibility is based on ISFDB, which can be wrong or incomplete, so please feel free to note corrections in the comments. Likewise, we have a reputation for being hard on translations, but the Locus list is even harder on translations than we are. Only 1 story in the Locus list that RSR reviewed is a translation (there may be others not reviewed by RSR), whereas there are 7 translated stories (yellow highlights) in RSR's 2018 Best SF/F list. Our 2018 Best SF/F list is an index of recommendations from many different sources, but we also wanted to compare the Locus List against RSR's own ratings. By that measure, Locus has produced an excellent list; RSR recommended far more of their stories than would be expected by chance and recommended against fewer. We never see magazines or anthologies anywhere near this good. RSR reviewed 80 (59%) of the 136 novellas/novelettes/short stories in the Locus list. Some of the 56 not reviewed by RSR (3 novellas, 11 novelettes, 42 short stories) were genres we don't cover such as horror magazines and anthologies, flash stories, or author collections. Out of 80 reviewed stories, RSR recommended 34, was neutral on 35, and recommended against 11. RSR's curve normally results in 13 recommended (1/6) and 16 recommended against (1/5) out of 80 stories, so there's strong agreement with the Locus list on many outstanding works. 10 Novellas: RSR recommended 5, was neutral on 4, and recommended against 1. 37 Novelettes: RSR recommended 15, was neutral on 17, and recommended against 5. 33 Short Stories: RSR recommended 14, was neutral on 14, and recommended against 5. Actually you have reviewed Joe Diabo's Farewell by Andy Duncan because it was reprinted in the Jan/Feb 2019 issue of F&SF. Thanks. I've uploaded the fix to the server and it should show up in browsers in a day or so. This link is from Coode Street Podcast. It talks about this year's Locus Reading list with Liz Trombi - Locus Editor In Chief. I listened to the one from last year and it is pretty informative. You need at least 3 people to like the work in order to make it onto the list. I don't record any mention of how they sourced the works but that was last year's podcast. I do recommend "If At First You Don't Succeed, Try, Try Again" by Zen Cho who is listed in the Not Reviewed. This is a novelette. Worth reading in itself and worth checking out for award nomination purposes. I use multiple recommendation sources. I read the work and decide from there. If it is something I really do like, I'll ignore the recommendations from the 'experts' and 'pros', and just nominate it regardless. I'd already read a fair percentage of what is on the Locus Recommended list for the short fiction before it came out, and a lot of it is good fiction. There are a very few works that I think should not have been listed, and a few that I thought should have been listed. Some of it will boil down to personal taste. The important thing is to participate in any awards one is eligible to participate in. I happen to agree with you that Kristine Kathryn Rusch was hard-done by being left off the Locus list. Her Diving Universe series is eligible for Best Series, if this helps. Thanks! I usually pick at least a few stories from the not-reviewed list to look at, so I'll definitely keep those in mind. 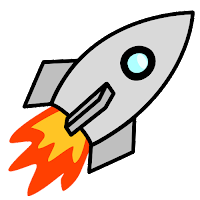 Thanks, I've updated the spreadsheet and refreshed this page, the 2018 Best SF/F, Annotated Hugo, and Annotated Sturgeon pages. You'll see the updates when the cached pages in your browser age out in a day or so.